Tripoli. Libya. 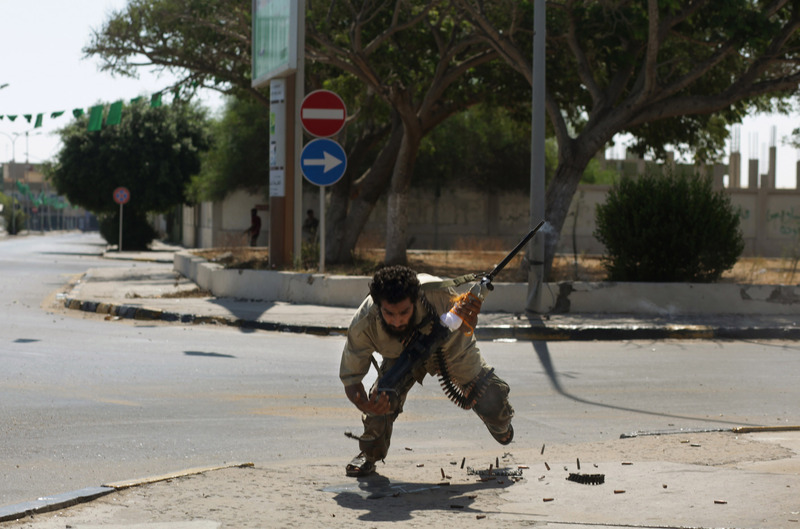 25th August 2011\nA rebel machine gunner in a fierce fight inside Abu Salim neighbourhood of Tripoli with loyalist elements of the Gaddafi regime .